About this Full Color Digital Calendar Magnet:Four-color process quality.Approx. .025 thick.Large imprint area.Special Instructions:3 Day Rush: 1 location imprint. About this 5 X 5 Magnetic Calendar:Make your message last all year with this white with black, .02 mil thick, magnetic calendar. With an imprint location right in the center of this 5" x 5" magnetic calendar you'll be sure your brand is the center of attention from season to season. NOTE: Product comes with Prop 65 warning label. Label reads: "WARNING: This product may contain carcinogen, which is known to the State of California to cause Cancer and Reproductive Harm. For more information, go to www.P65Warnings.ca.gov. About this Calendar Punch Out Picture Frame:Calendar magnets that include a photo frame make for ideal"Thank You" gifts to your loyal customers. Available in 0.020 and 0.030 thickness and always-in-stock, these memorable promotional giveaways feature a rectangular punch out design that reveals a fitting place to display a favorite photo. Add customization with your company name, logo and special message printed on the removable portion and along the picture frame. Thank you Brenda, Trevor and Ava! Our 5” X 5” Magnetic Calendar could be used for many events! Whether it’s for a marathon or employees, Your customers are bound to use these at least a couple of the 365 days of the year! The 5” X 5” Magnetic Calendar is a great promotional to save the date for next year’s event! You never could go wrong by reminding your customers of your next event! Don’t miss out on this marketing tool. Make your message last all year with this white with black, .02 mil thick, magnetic calendar. 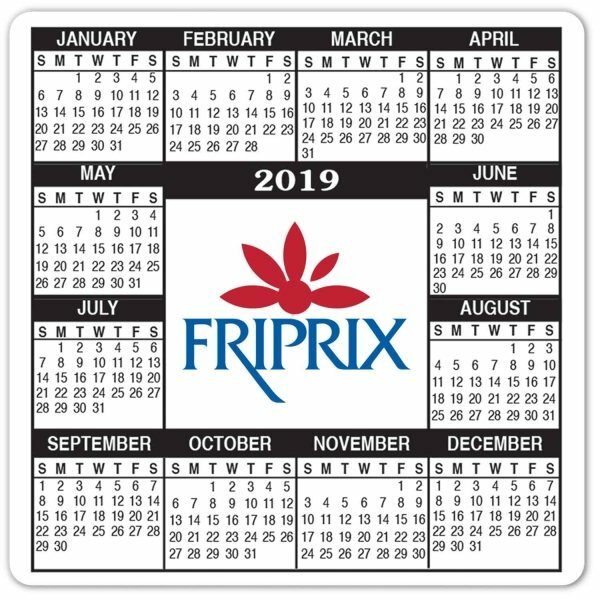 With an imprint location right in the center of this 5" x 5" calendar magnet you'll be sure your brand is the center of attention from season to season. Thank you Charlotte and Daniela! We know how important your logo is on a promotional product, so we always make sure that your logo is displayed perfectly! The USA Large Rectangle Calendar Magnet is a great giveaway for Memorial Day, Independence Day, Veteran’s Day and more. You could never go wrong giving promotional USA calendars to any American! Perfect for calendars, sports schedules, and much more. Sticks on refrigerators, file cabinets and metal surfaces. Keep your name in front of customers all year! Purchase your USA Large Rectangle Calendar Magnet today! With a wide variety of promotional magnetic calendars available to you, you’ll be able to find the perfect one for your company in no time! We have many different styles of calendar magnets available in different colors and methods of imprint. Whatever you are looking for, we have it. Magnetic calendars are always popular with customers. Guarantee your customer will take their calendar magnets home and place on their fridge. These are great to have so you don’t lose track of what day it is. We know sometimes it is hard to remember the day, so this magnetic calendar will help you stay on top of today’s date. Use calendar magnets to represent your company. Give these to potential homebuyers or to your students! Look through our selection of magnetic calendars. Shop here! At AnyPromo, we place a high standard on brand impact, just like our customers. Search our site for a wide selection of custom magnetic calendars, and see for yourself. Trade show and event guests are bombarded with boring branded swag at every opportunity, so it is extremely important to stand out. Our calendar magnets are specially priced and proven to generate impressions. Click through our inventory of magnetic must-have on sale now. Here is a snapshot of our selection of 49 letter opening choices. We’re ready to help expedite your order, so give us a call! 3" X 3" - Sign Maker Flexible 35 Mil Magnet. 4" X 4" - Sign Maker Flexible 35 Mil Magnet. Grab your promo calendar swag today! Magnetic calendars are great promotional items for any company. You could even select certain themes in our selection to represent your company. Showcasing a home? Give a promotional calendar magnets to every potential buyer. Place your important information on the magnetic calendar for everyone to see! 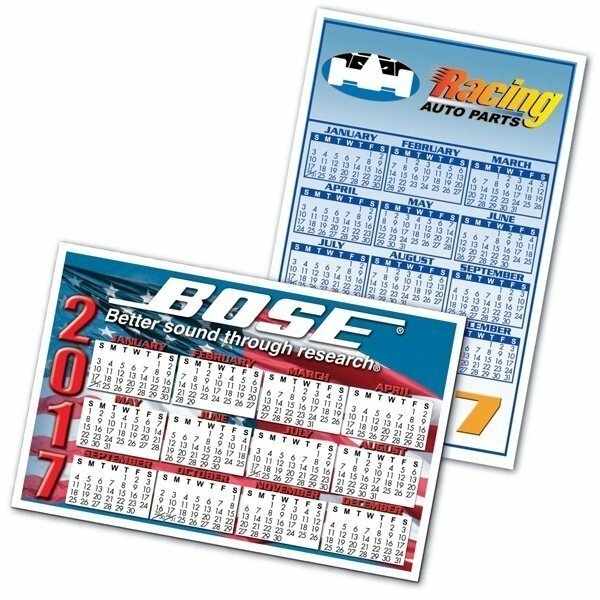 Our featured list of promotional magnetic calendars have been a huge hit. When it comes to real estate, calendar magnets are always a great marketing tool. You won’t want to miss out on this promotional item!